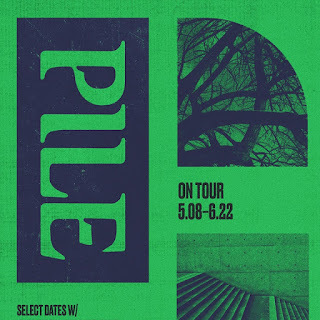 If It's Too Loud...: Pile - "The Soft Hands of Stephen Miller"
Pile is one of those bands I really need to become more obsessed with. They have that loud, noisy aggression I connect with on a primal level. Their latest single, "The Soft Hands of Stephen Miller," is what I look for in artsy, noisy, aggressive punk. The first half is just build. It's noisy and tense, and you're just waiting for it to explode, which it finally does. I say finally even though the song is just over two minutes long since you want it to explode so badly. And when it does it's such an ideal cathartic release. It's kind of like The Jesus Lizard meets The Dismemberment Plan. You can watch the video for "The Soft Hands of Stephen Miller" below. Green and Gray, the new album from Pile, will be out May 3 on Exploding in Sound. You can pre-order a copy here. For more on Pile, check out their website.